hd00:07Dubai skyscrapers at sunset. Scenic aerial view over famous highway with fast moving traffic and financial center towers. 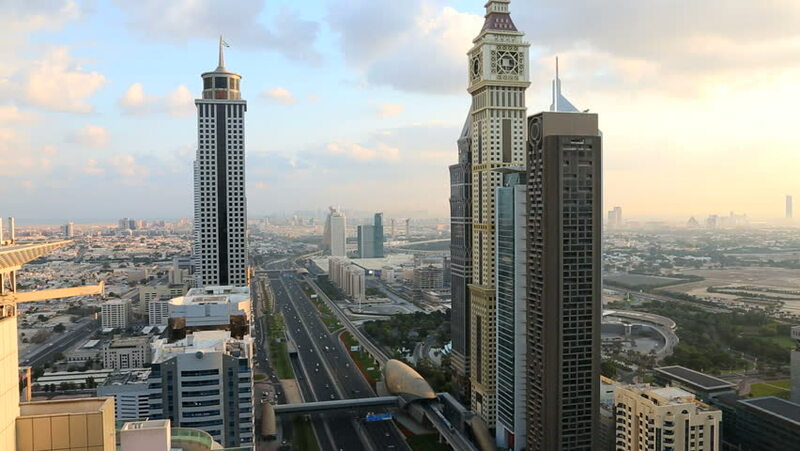 hd00:29DUBAI, UNITED ARAB EMIRATES - CIRCA MAY 2011: Timelapse over Sheikh Zayed Rd, showing the new MTR track and station system and the Burj Khalifa.